It’s that time of the week again! I love linking up with 4th Grade Frolics each week and seeing what the rest of you are making. So inspiring and motivating! I had some help this week with my two Monday Made It projects. My mom is in town for a few weeks visiting, and she’s super creative (it’s where I get my creative genes from), so I’ve been picking her brain on a few things. This idea started like most of the other ones I’ve had… “I saw this idea on Pinterest.” We’ve all been there. Although I have to admit, I do have an entire board of DIY stuff that I.have.never.done. Shhh! Don’t tell anyone! How genius, am I right?! So I thought to myself, that can’t be too difficult. I text my mom a picture and she said she would help me make it when she gets here. Well, she got here… so I put her to work 🙂 I’m just kidding, she did help me though! 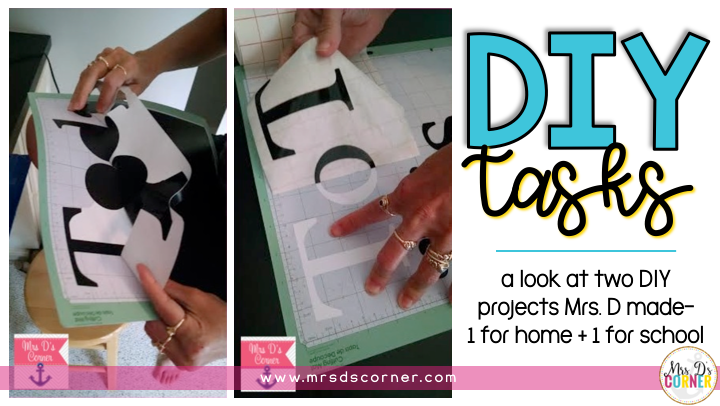 Here’s how you can make one, too!All you need is a Cricut machine (I have the larger one), a CriCut cartridge that has a font, CriCut vinyl and CriCut transfer paper. *This is not a sponsored post, I promise. I got my Cricut machine when I was in college. My mom has a scrapbook store, so she bought me one for Christmas one year when Wal*Mart had a sale on them for $188. Great deal, even though I have seriously only used the machine no more than 4 times. 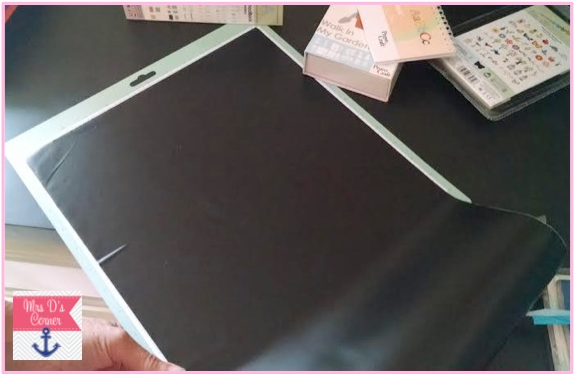 Anyway, the first thing you need to do (besides turning on the machine and inserting the cartridge) is place the vinyl on your Cricut mat. I chose black vinyl, but it comes in all sorts of colors. I got mine at Michael’s for $5.99 with 25% off. Not expensive at all! Once you get the vinyl on the mat, you want to cut it at 12″. The mat is 12″ and if it is any longer, it won’t go through the machine 🙂 DO NOT take the white back off of your vinyl! You will not get it off of the mat after you cut it. Or you will and it will be ruined. So just unroll the vinyl and place it right on the mat, white side down. Next step is typing what you want it to say and press “cut”. 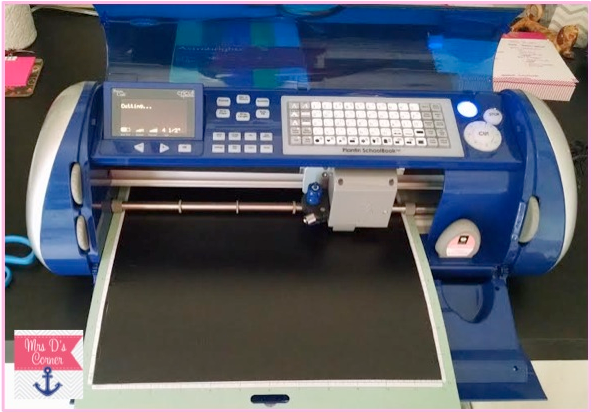 Make sure that you don’t have “Paper Saver” on, because it will make it so much harder for you to get your letters lined up on the transfer paper. 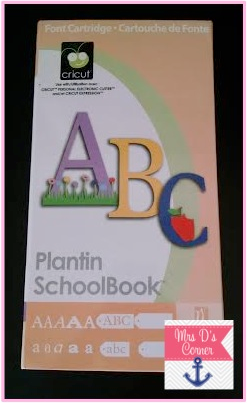 I chose 4.5″ letters, but you can choose any size of letter you want. 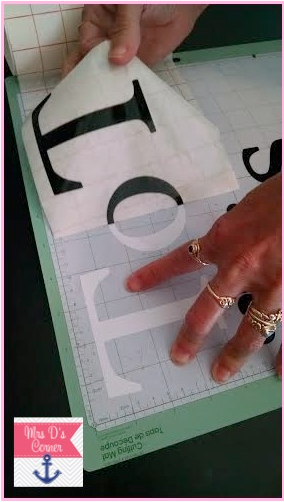 After you cut out the letters you need, peel off the excess vinyl from the mat. Don’t forget to take out the centers of the letters o, d and a. You can see as my mom was peeling off the vinyl, that the white backing is still on underneath. That is a very good thing! After you do this, all you should have left on your mat are the black letters with the white underneath. The next step is picking up the black letters with the transfer paper. Cut it to the size you need. The pack I bought had sheets pre-cut, so I just cut the width in half. You will want to complete this step very carefully. 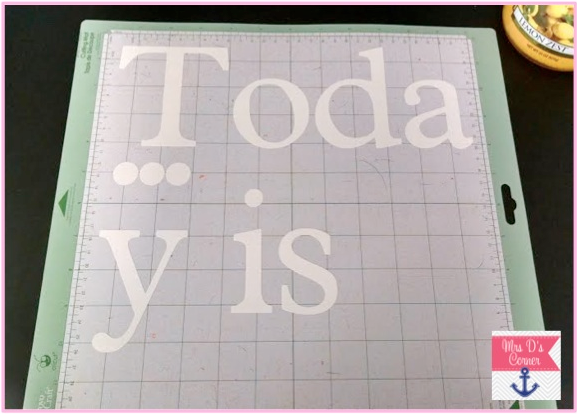 Make sure that when you pull the black vinyl off of the white backing with the transfer paper, your letters are lined up. 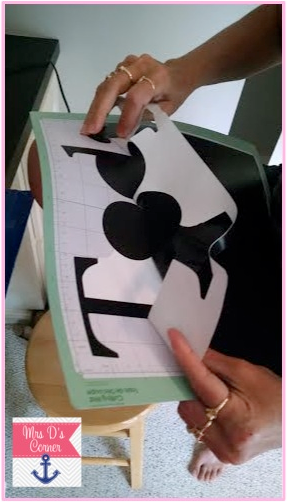 The transfer paper is what makes it super easy to apply to your whiteboard. 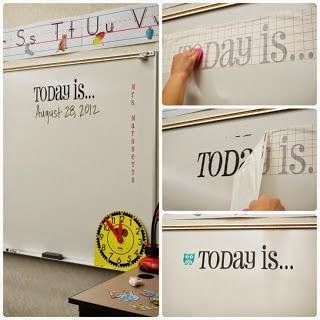 When you’re ready to transfer your saying to your whiteboard, just take the back off of the transfer paper, place the saying where you want it on your whiteboard, use a credit card or something very flat to put pressure on the letters so they stick, and peel off the transfer paper. It’s really easy! I’ll be sure to post an end picture of the saying on my whiteboard in a few weeks! The second project my mom and I worked on was a bench cushion for this adorable seating area I have in my house. I have this thing for pillows. I love decorative pillows. I can walk into TJ Maxx or HomeGoods and do some serious damage on pillows. 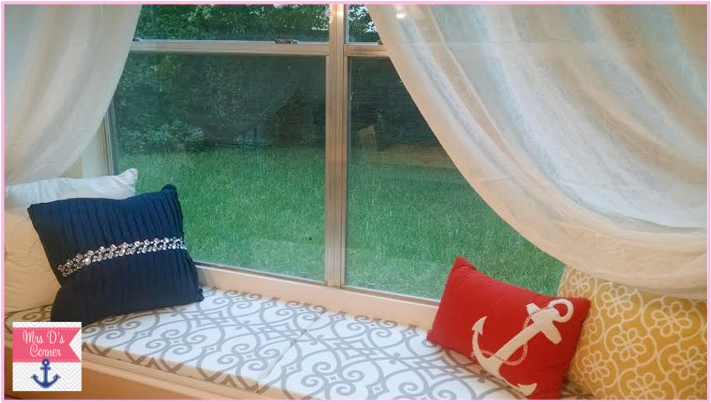 So when we moved in a few weeks ago, I knew exactly what I wanted to do with this cute little window bench. My mom and husband measured the window. Later, mom and I ventured off to get all of the supplies we needed. 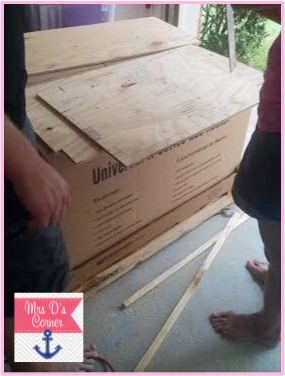 We stopped at Home Depot first to get the plywood for the bottoms. We had them cut the boards to size for us, which actually ended up being too small, but we’ll get there later. 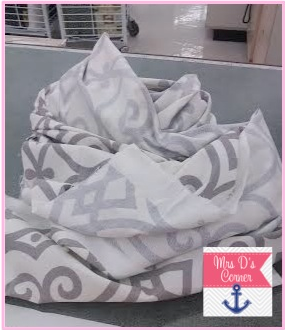 Then we went to JoAnn’s Fabrics to pick up some foam and fabric. I went with something modern, yet something traditional to match the decor in my house. PS. no one warned me that fabric is super expensive. Oh yeah, the foam? Even more expensive! Anyway, when we got home we realized that the boards didn’t fit in the window. Well they did, they were just 10″ too short. No idea how that happened, but it did. 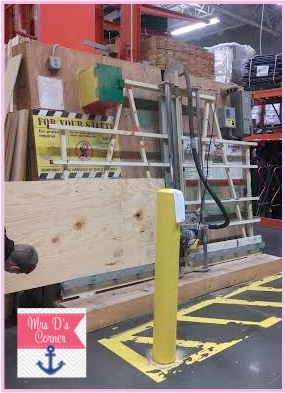 Luckily we took the extra piece of board that Home Depot cut off, and luckily my husband was home to help us out. 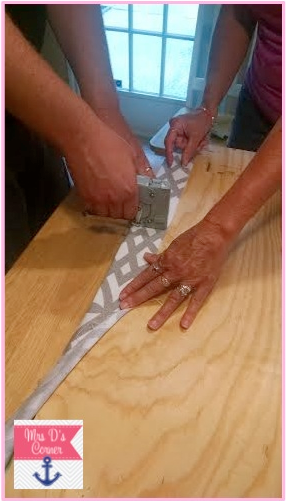 Because we had to extend the boards, we needed to connect them with something so they wouldn’t bend and move. Thank goodness that I save all those extra odds and ends you get when you buy that crappy furniture from Target. The pieces we ended up using were actually left by the previous homeowners. They are pieces that held up their curtains. All my husband needed to do was use his bolt cutters to snap them in half, and then I (yes, I actually did something!) screwed them into the boards. Finally, we got to add the foam and fabric. 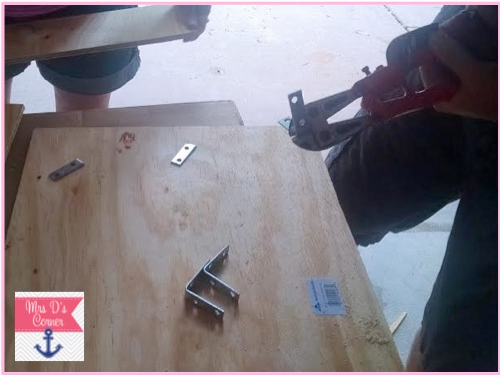 All we used was a regular staple gun. It really did take 3 brains to get this thing figured out. 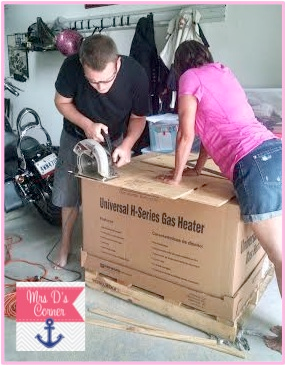 It’s not just as simple and easy as they make it look on HGTV, people! Now we have this gorgeous sitting area where I plan on spending a lot of time in. Total investment (including pillows): ~$200. We’ve got some serious stuff planned for this week, too and I can’t wait to share it. First set of directions for a Cricut with Vinyl. I am saving because every other set is for a different machine. 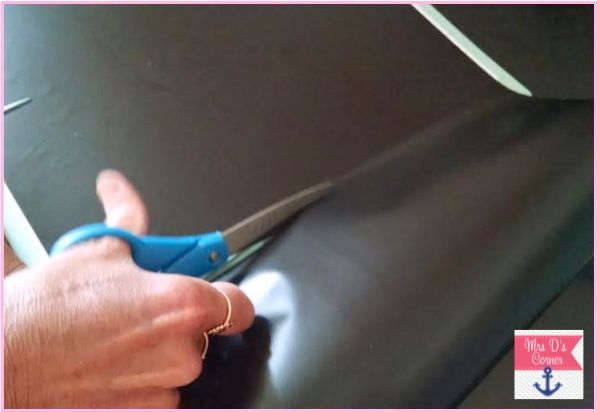 How did I not know that the Cricut could cut vinyl? That's awesome! 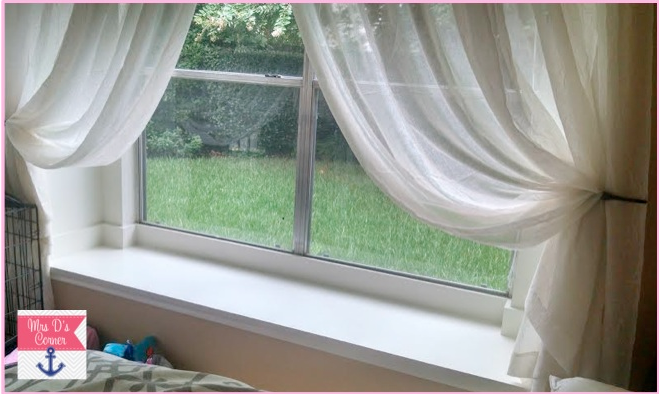 Love your window! I love your vinyl products. I have a cricut but have never used it. Now I'm inspired. I didn’t see what you made with the letters? Did I miss something?